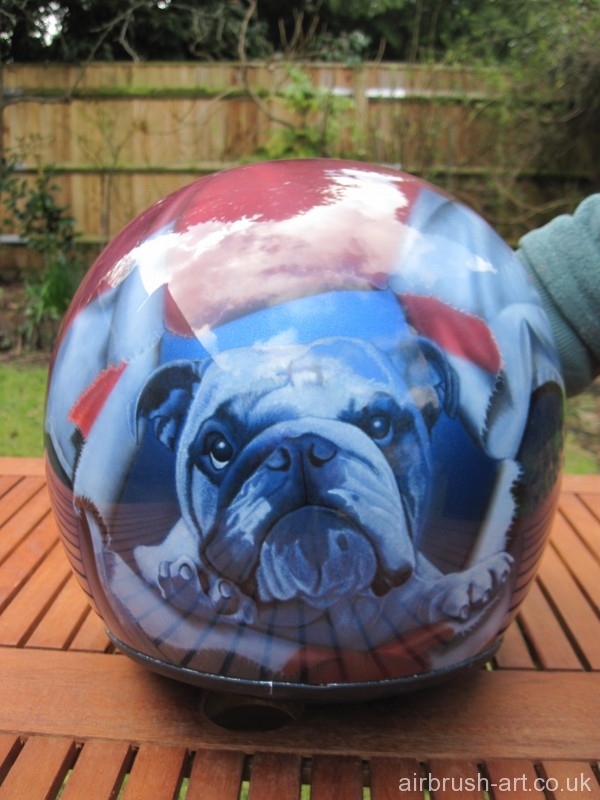 Bull dog bursts through a crumpled England flag draped a motorcycle helmet. 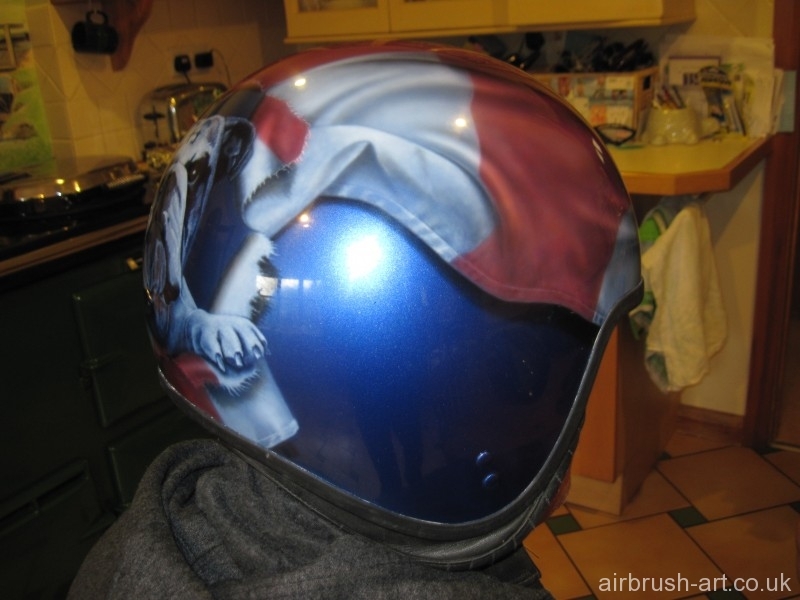 Side view of painted helmet. 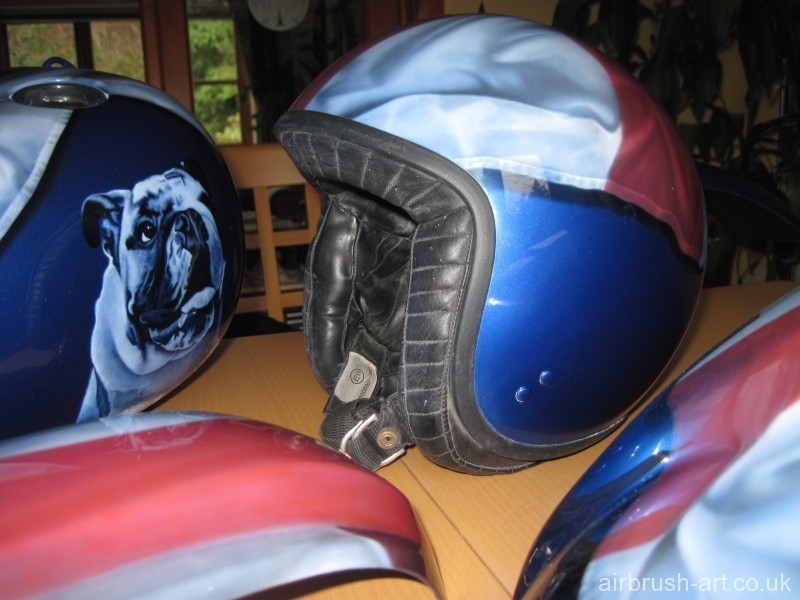 The other side with matching motorcycle panels. 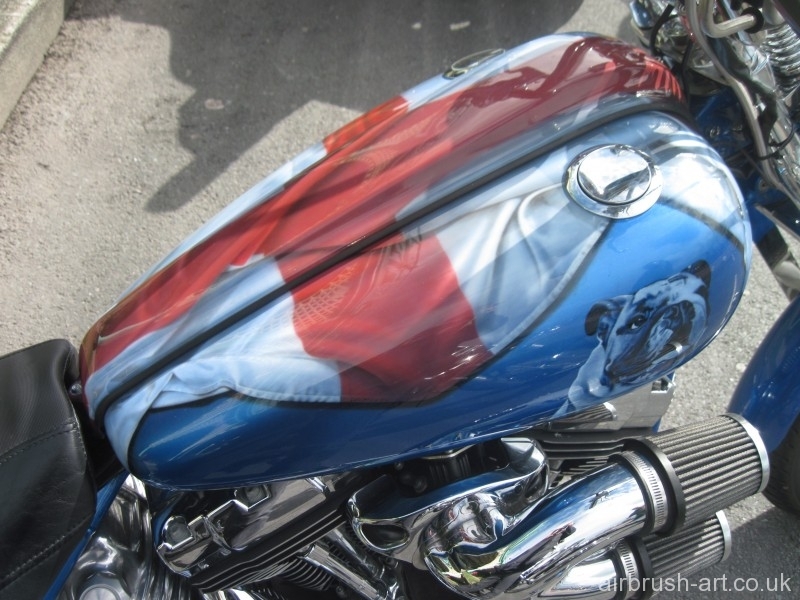 The matching fully airbrushed customised Harley-Davidson motorcycle by Colin McKay.